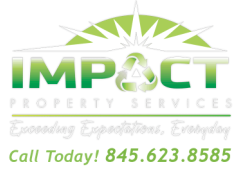 "Impact gave us a price that was fair, showed up on time, which is rare for contractors, and made our house look like new. I have already sent 2 friends to them and they got the same service I did. We will definitely use them again!" "We contacted Impact Services for a large cleanout project. They came out to look at it the same day, gave us a price and explained the way the work would be done, and then gave us fast service. I will highly recommend the service to anyone that needs it." "Great service, we had a roof that 2 other guys said couldn’t be cleaned, Impact not only made it look like new, but protected all of our plants below and rinsed the front of the house off when they were finished. They saved us a lot of money for not having to get the roof replaced like we thought!!" "Impact did a demolition job for us in NJ, the building was 6 inches from the neighbors patio and hot tub. They did not damage anything and cleaned up the whole site and the neighbors patio when they were done. That really impressed us. A class act company that we will call for any future jobs." "Mike and his crew did and amazing job on our paver walks and patios, we spend a lot of time on the patio, and this just makes it so much better. The guys were great, kept everything neat, and even moved some machine out for a party we had. That was really great. If you ever need a recommendation, don’t hesitate to use my name. Please give the enclosed money to the crew for a tip. Thanks again!" "Impact Property Services cleaned a large outdoor area for an event we had. Some of the marble was stained so bad that we thought we would eventually have to replace it. The men came out and did an incredible job and left the property in unbelievable condition. We now have the crew come monthly to keep the stone work as nice as it should be. I am very pleased with this company, and will use them for all our property needs."